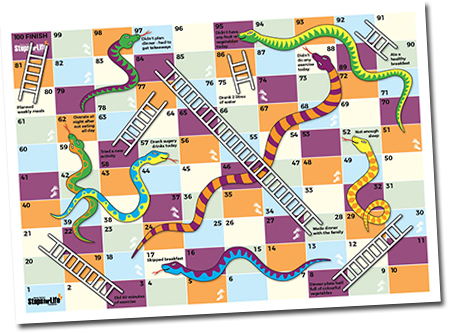 Download and play our very own version of snakes and ladders. We've even created a make your own dice with printable counters for you and the family to use. See who will be crowned the healthiest and will reach the top rung first!